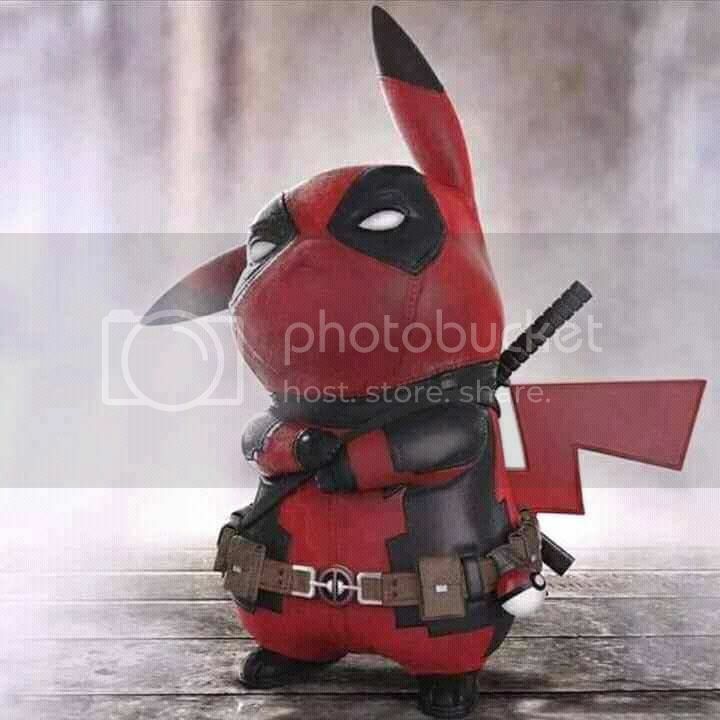 One UK site is now reporting that the online availability for the SDCC exclusives may be pushed back to September from the originally announced 8/14 date. I have been out of the loop for the past few years on SDCC Star Wars exclusives. This year will be first for me. I did ask someone who will there to get Thrawn and Luke. Not sure if he will be successful or not since Hasbro is doing a lottery to let you in and purchase. I guess that's better than run for the line at opening after you wait in line outside in the early hour(like 4 am). I do miss the good old days. It's nice to see some new stuff. I've got a friend who is trying to help me with Thrawn at SDCC. And I'm going to try getting the Landspeeder when August 14th rolls around. But Rey and Luke? The packaging looks nice, but what else if anything is unique about this set? And I don't think there is anything. These two figures are supposed to be part of the general release 6" Black Series line. The two pack will be $49.99. The individual figures will be $19.99 each. And given past history? Sometimes you can get 6" Black Series figures for a nice discount on Force Friday. While it would be nice to get these two figures ahead of time, I'm having a tough time from a pure $$$ standpoint to buy this 2-pack. Check out THE OFFICIAL ANNOUNCEMENT FROM HASBRO. Item will be available to order on 8/14/2017. Limit of 2 per household. No phone orders will be accepted. A Tatooine farmboy. A Jakku scavenger. An unknown story. A path waiting to be discovered. This Star Wars The Black Series pack, featuring 1 6-inch-scale Luke Skywalker (Jedi Master) and 1 6-inch scale Rey (Jedi Training) figure is inspired by Rey’s quest to find the lost Jedi Master, Luke Skywalker. With multiple points of articulation and movie-inspired design, this Black Series 2-pack has been created for ultimate collectability and display. 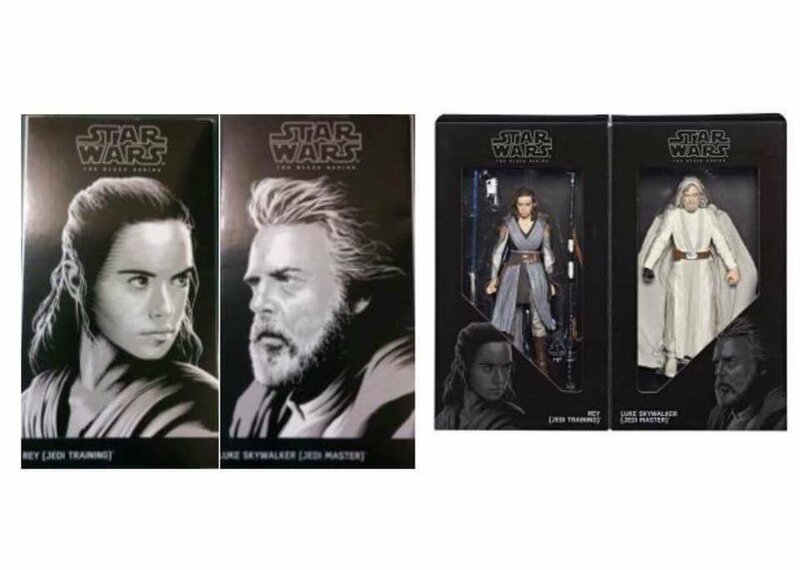 Featuring authentic, true-to-story detail, the Star Wars The Black Series Luke Skywalker (Jedi Master) and Rey (Jedi Training) figures and accessories let fans and collectors alike imagine the legendary Jedi Luke Skywalker challenging Rey’s expectations as he teaches her the ways of the Force. Includes: 2 figures and 3 accessories. Luke Skywalker was just a farm boy from Tatooine before beginning his training to become a Jedi. Though he would eventually sell his X-34 Landspeeder in order to buy passage aboard the Millennium Falcon, for much of Luke’s youth, this civilian vehicle was his only transport between his homestead and outposts such as Tosche Station and Anchorhead, as well as the Jundland Wastes, Dune Sea, and beyond. Imagine Luke cruising across the barren deserts of Tatooine with this 6-inch scale X-34 Landspeeder and Luke Skywalker figure. Designed for ultimate collectability and display, the X-34 Landspeeder and figure feature movie-real design and detailing. The Luke Skywalker figure features multiple points of articulation, while the X-34 Landspeeder vehicle includes a clear stand for display. Collect all Star Wars The Black Series figures, vehicles, and more to expand and enhance any Star Wars collection! • Includes: figure, vehicle, stand, and 5 accessories. This Star Wars The Black Series pack, featuring 1 6-inch-scale Grand Admiral Thrawn figure and 10 accessories inspired by the Grand Admiral’s personal collection of artifacts from across the galaxy, is designed for ultimate collectability and display. Featuring authentic, true-to-story detail across multiple points of articulation, the Star Wars The Black Series Grand Admiral Thrawn figure and accessories pay tribute to the iconic, blue-skinned mastermind Grand Admiral Thrawn and his many campaigns as the most cunning of the Emperor’s fleet officers. • Includes: figure and 10 accessories. The head sculpts look better than those draw-rings. Check out what may be a surprise exclusive for SDCC this week! It's nice to see Jedi Master Luke at long last!